You’ll really feel the maritime vibe with this Morocco Half Bodice Swimsuit. Red, white and blue feels so nautical, we used it in a huge collection of swimsuit styles! 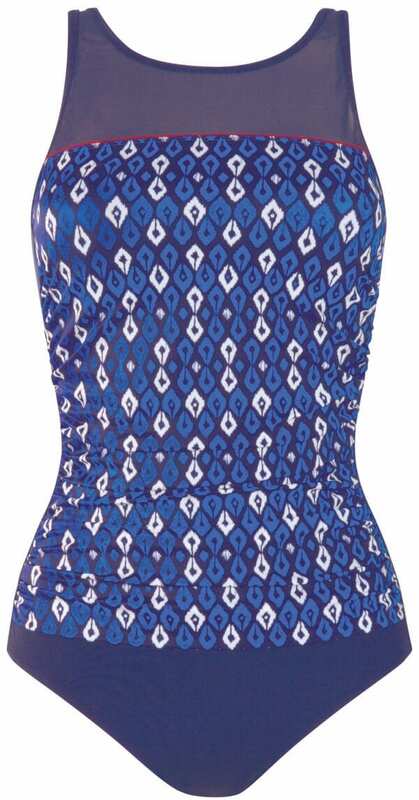 This one, a comfortable one piece with shaping effect in the front, features our seaworthy print in the front, accented by a mesh neckline that’s higher, to hide scars or radiation burns. In the Morocco half bodice swimsuit, our designers’ construction with Power mesh in the front, plus clever ruching at the waistline, creates a trim figure. 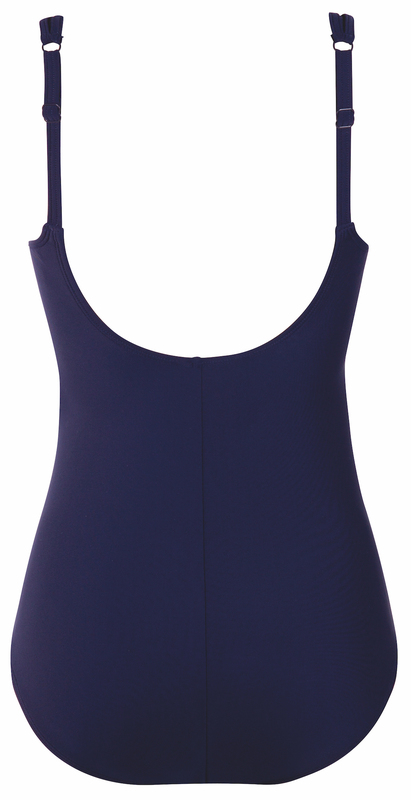 Like all Amoena swimwear, invisible pockets in the cups can keep your swim form secure. 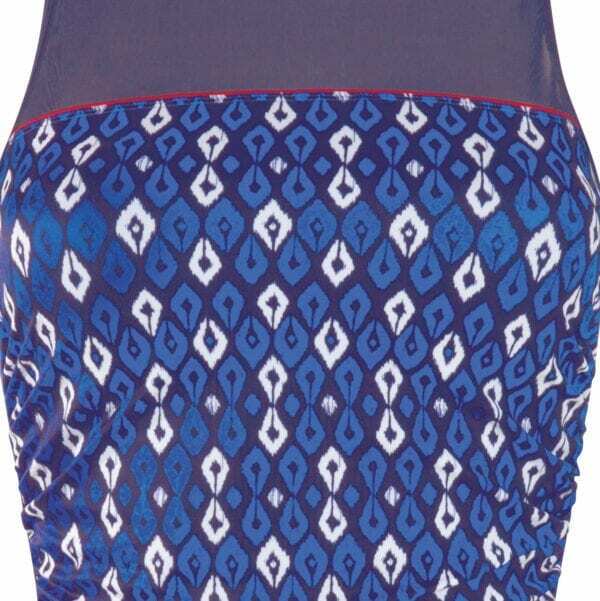 And performance fabrics ensure this Morocco half bodice swimsuit will last. We see a yacht party in your future.